Nowadays it’s really difficult to find a faithful friend in our mad world. Undoubtedly, if you own a dog you have a devoted four-footed friend for good and all. That’s why you have to take care of your lovely pet. Our unique durable Dog Collar made of non-toxic materials will be the best evidence of your high gratitude and love. High-quality leather, which is really extra durable, won’t stretch and tear for a long time. 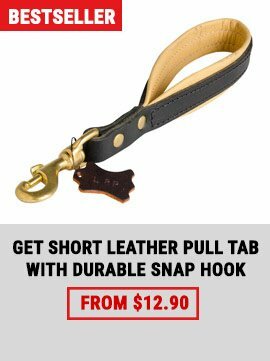 Gorgeous steel old brass plated buckle and D-ring are easy in adjustment and will help you to control and handle your super active Pitbull. Antique hand set plates with rivets are a real royal splendour. 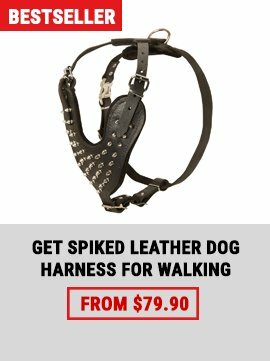 For more details and benefits of this Dog Collar read below. If you are searching for Comfort, Quality, Long term use and Aristocratic Trendy design this special leather Collar is certainly for you - for a responsible owner! We can speak endlessly about the advantages of this Dog Collar. 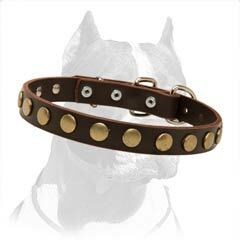 Firstly, this Exquisite Collar will be ideal for handling your hyperactive dog, because, as we know, Pitbull is very energetic breed and it’s rather difficult to control it. 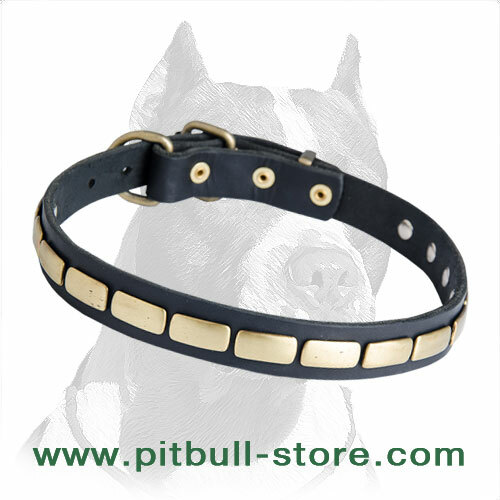 Moreover, this Collar is a perfect decision for owners who like to spend time with their pets. Daily walking, obedience training and better controlling will be a real pleasure for you and your lovely pet! Secondly, this equipment is made of 100-% natural leather which is very soft but at the same time extra durable. In addition, material is non-allergic. Steel old brass plated buckle and D-ring are rust proof and easily adjustable. Hand set plates are riveted and shine like gold. Be sure this hardware doesn’t stretch or tear and will serve you for years. 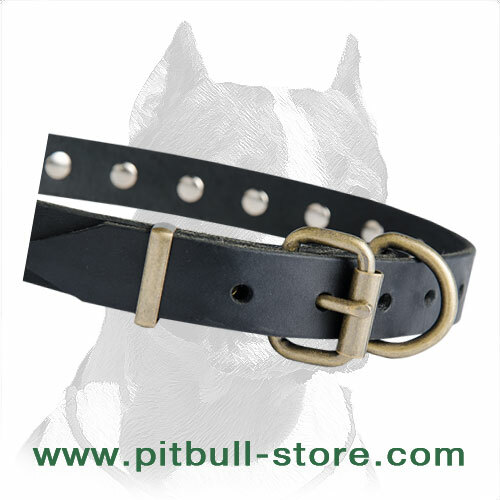 Thirdly, this leather Pitbull Collar has unique extravagant design. Your pet will be like a Greek God in this antique accessory. 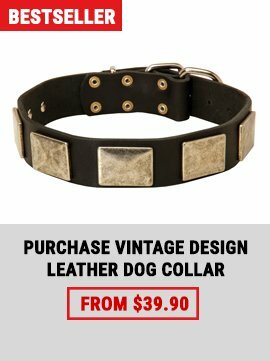 So, if you want to surprise your friendly pet and present it with the best gift ever seen , buy this wonderful Dog Collar!